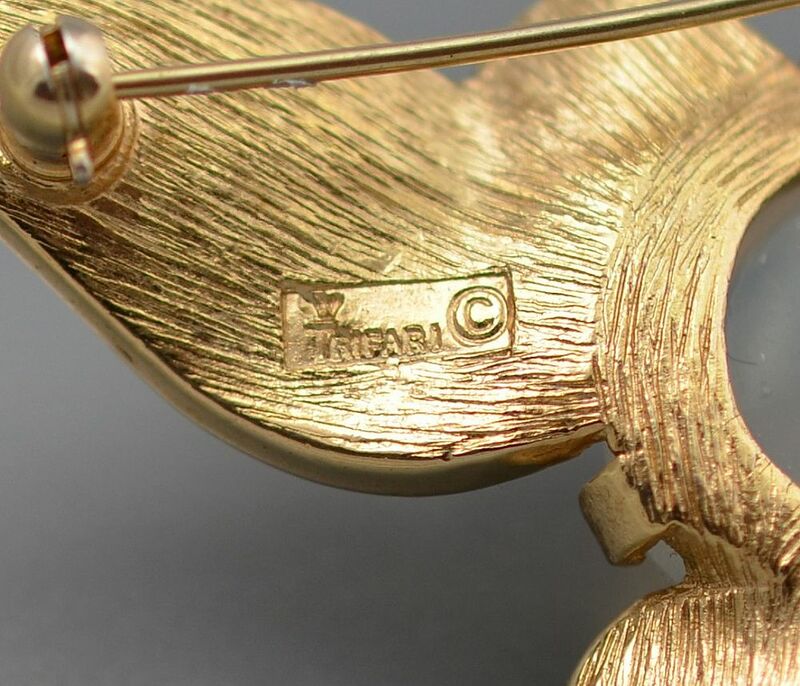 This wonderful vintage c.1940's gilt metal brooch is by Trifari. 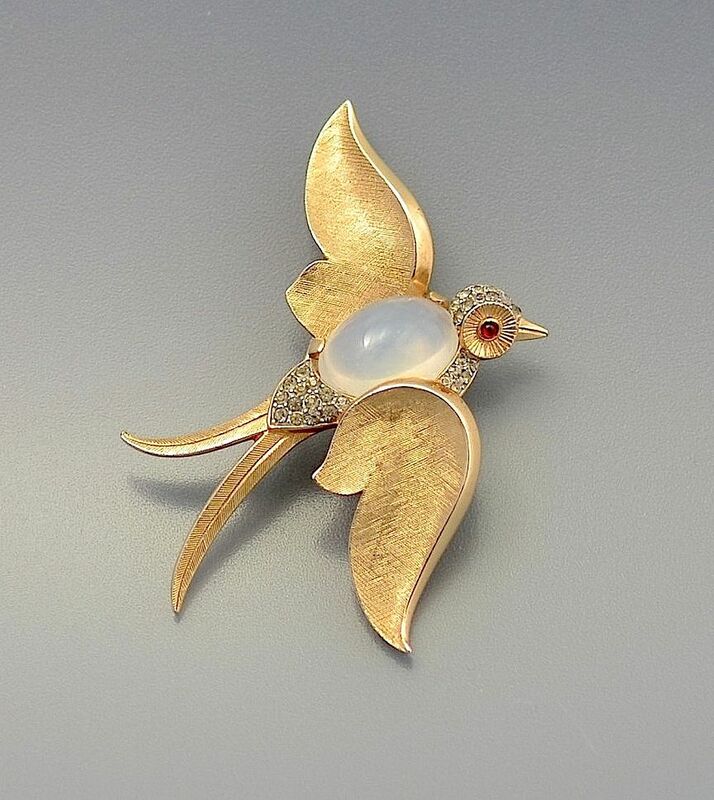 The brooch depicts a swallow in flight. It has red crystal paste eyes and clear crystal set sections on the top of the head and beneath and behind the clear paste cabochon that forms the belly of the bird and which gives these type of pieces the name "jelly belly". This is a classic piece of Trifari jewellery and is particularly good in that it is in the larger size. Signed.